I’ve always been the person to make sure I get a workout in. No. Matter. What. Whether it’s a run, a lift, yoga, whatever, each day I do something to better my physical fitness. Sometimes it’s tough. Sometimes people may think it’s selfish. To me, it’s a necessity. To perform at optimum level you need to take care of yourself first and foremost. I need the endorphin rush I get from my workouts. If I workout later in the day, my body and mind thrive for that rush. I’ve learned over the years that to wake up at 5, 4 or even 3 am to get some type of workout in, is not only worth it for me, but worth for my family and work life. I read this article and it hits the nail on the head. Why are you not seeing results? Often we get caught up with in the instant gratification. You can post a picture online seconds after you take it or you can Google the answer you any question you may have.But somethings can’t be sped up or shortcuts just won’t cut it. Your health is one of those things. Good things take time, and great things take consistency. Some reasons you may not be reaching or maintaining your fitness and lifestyle goals. It takes a little bit of effort but a little planning goes a long way. When hunger strikes, the last thing you want to do is make food. You want something easy and quick. Try making salads in a bag or jar so you have a go to snack or meal easy and ready! Planning ahead will help you stay on track and not worry about making a poor decision! Plan your meals out for the week on a Sunday and you can prevent yourself from making hasty choices when hungry! Eating healthy is so much easier as a team than as a individual. Share your goals with your friends and family and work together! Try to incorporate protein into every meal, especially if you have increased your workout routine. Protein helps rebuild your muscles so feed them properly to get the results you want! Sometime this is the hardest thing to do! Going out with friends or after a hard day at work you just want a nice cocktail or glass of wine. Be smart and limit your intake to only one drink. No matter what way you slice it you can NOT out exercise a bad diet. Your body needs certain foods for nourishment and you just can’t justify eating an entire pizza and 3 rounds of drinks because you ran 2 miles, sorry it just doesn’t work like that! Don’t deprive yourself completely or you are setting yourself up to fail. Keep yourself in check with moderate portions and you can enjoy a treat once in a while. Eating healthy and living active is a life style!If you keep yourself in check each day you will want sweets and unhealthy foods less and less, your body will stop craving it! Don’t set up a “cheat day” or “cheat meal” just keep consistently eating vegetables, protein and complex carbs and it will be easier to stick to your plan and reach your goals. Good luck on your journey to healthy living! Remember to stretch after your workout! You finish your workout and are ready to walk out the door. 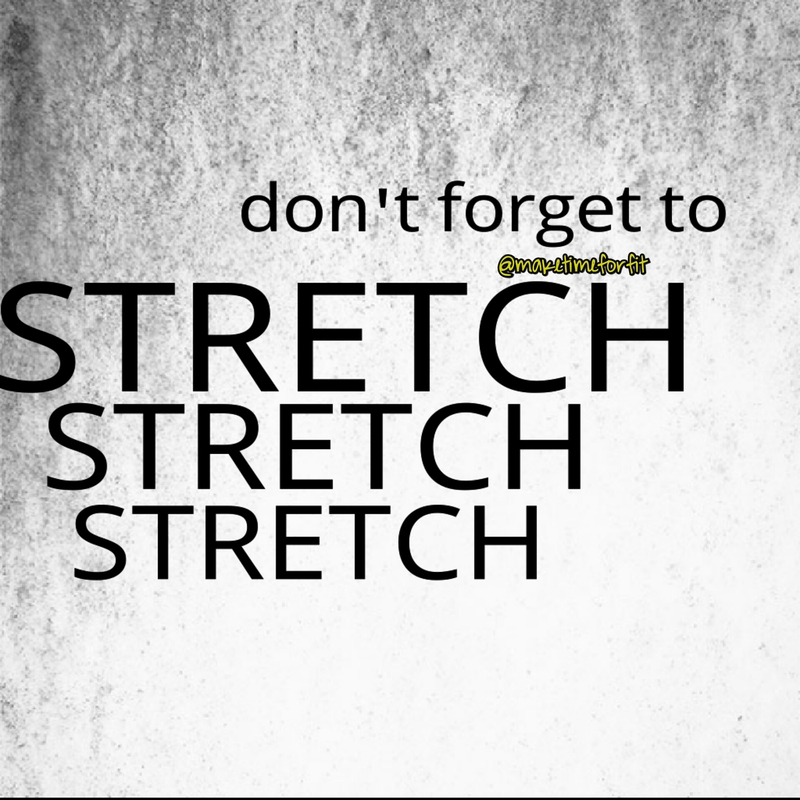 Just before you leave you see a few people stretching and you think “I probably should, but i just wait to get home.” Well well well let me tell you that just because you can’t SEE the results of stretching – it is just as important to help reach your goals, whether it’s losing weight or wanting to compete. Stretching can lead to better posture, fewer aches and pains, greater confidence, and EVEN a cheerier outlook on life (yep! sure can!). Sitting can be hard on your glutes and your back. Stretching helps keep from these muscles from atrophying over time. If stretching hurts – it’s cause you really need it. Breathe through the stretch and imagine your muscle tissues releasing. Practice makes perfect. The more you stretch the easier it is and better you will feel over all. Here is my cool down stretching routine. Find whatever works for you! I promise with consistent stretching you will feel like a new you! Walk on treadmill til my heart rate is down (wear a heart rate monitor so you are always aware of your heart rate). Then legs a little wider than shoulder width apart, stretch down feeling it your hamstrings, go to the right side then the left and finish back at center – holding each for about 10-15 counts. Hip flexors right leg back in a lunge position and press hips forward and squeeze right glute, then straighten left leg and lean forward to feel the stress in your hamstring. I do this 5 times alternating hip flexor and hamstring holding about 8 counts for each stretch. Then do this same thing with the left leg back squeezing that glute and pressing hips forward then straighten right leg out for hamstring stretch on that side, again holding for 8 counts each. Next I sit on the mat and stretch my glutes by bringing my right ankle to the top of my left knee and you’ll feel that pull in your glutes. The closer the leg is to your body the deeper the stretch. Then do a spinal twist turning to the right – repeat this on the left side. Then I lay on my back and do some spinal twists with bent knees. Stretch out my neck from side to side then reach high then I’m done! I used to get the worst guilt if I missed a workout or ate too much at dinner or even ate a cookie. But it’s important to remember – You are human and you don’t need to be 100% perfect all the time. It’s simple, try to eat unprocessed foods and if you want a cookie have one maybe two, just not the whole box. If you put yourself on a zero tolerance diet, you are setting yourself up to fail. Remember the first bite is always the best. Enjoy it then move on. Don’t beat yourself up if you accidentally splurge! 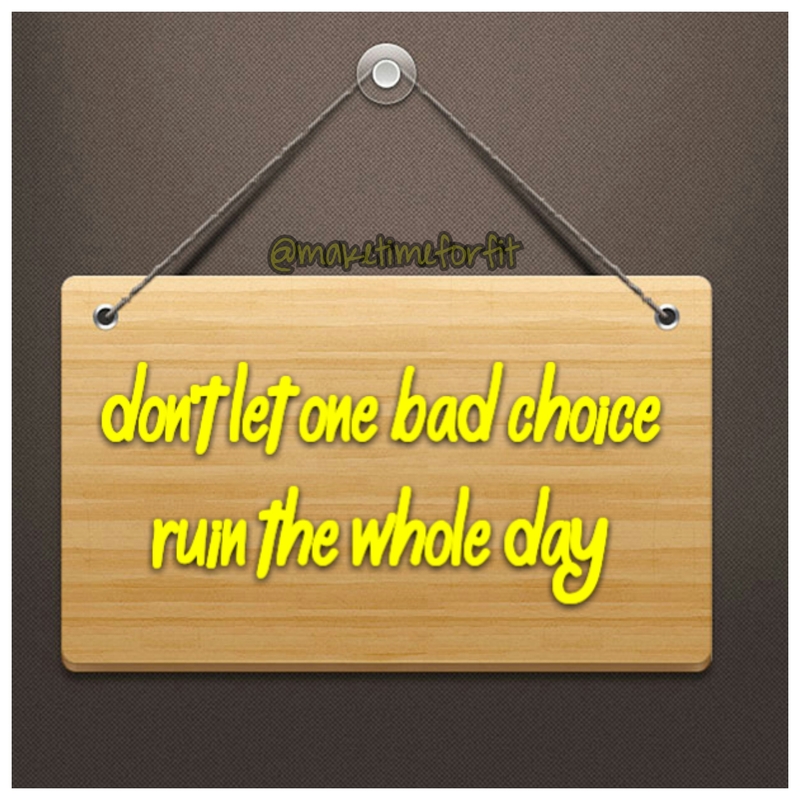 Just don’t let it ruin the rest of the day. One bad meal is just that one bad meal! If you crack your phone screen you don’t take a hammer and shatter the rest of it! It’s about moderation. Each meal, snack, dessert are independent of each other so don’t let one bad meal trigger a chain reaction! Plus, the longer you eat unprocessed foods and load up on vegetables the less you’ll crave sweets and other unhealthy foods! Good luck, happy eating and here’s a quote I like to read if I get off track. Here are few symptoms that may be related to an iron deficiency. Normal activities like walking up the stairs or you typical exercise routine causes you to lose your breath easily, easier than usual, chances are your iron is to blame. Can’t relax? 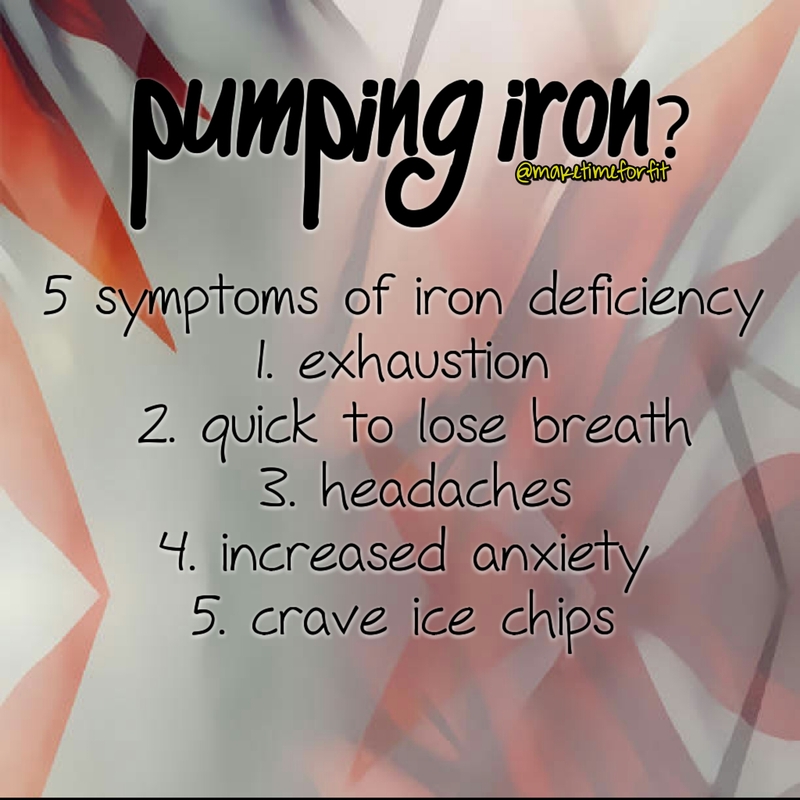 It may be in part to low iron since the lack of oxygen revving up your body’s sympathetic nervous system. Ever have the urge to chew on ice chips? Those who are iron deficient! If you notice yourself going to the freezer, that’s red flag for lacking iron! I struggled myself with iron deficiency. My doctor prescribed iron supplements for me when I was in high school and I learned to eat more dark leafy green vegetables and red meat (loaded with iron). Before you give blood they do a finger prick to test your hemoglobin levels which is produced by the iron in blood. Any time I tired to give blood I would try to increase my iron-enriched foods but didn’t work. I’d have enough iron (hemoglobin) but not enough to give. This was a little battle within myself over the next 10 years. I pride myself on being healthy, why couldn’t I get my iron up? I started ID Nutrition four months ago and I’ve noticed a few things improve but little did I know biggest changes are happening on the inside. About a month after starting ID Nutrition, which based on my personalized assessment included an iron supplement, there was blood drive at my work. I signed up just hoping I’d been eating well enough. Not even thinking of my ID Nutrition supplements. Sure enough, I was able to give at blood drive at work. My iron (hemoglobin) was just over what it needed to be to donate! WOOOO! Now, about 3 months later and four months since I started ID Nutrition, another blood drive popped up near my house. I went in to donate, all the while hoping in the back of my mind that my iron (hemoglobin) was high enough. The technician told me that hemoglobin levels needs to be 12.5 in order to give blood, mine was was 13.7. The technician with the Red Cross was even impressed! I knew this had to be a direct correlation of my use of ID Nutrition and my iron supplements. My hemoglobin level has never been higher and I’m so happy that I can give blood without worry of getting there just to be turned away. It’s sometimes hard to track positive results form vitamins but this is something tangible and something that I’m so proud of! Not only is ID Life helping me fill in my nutritional gaps but in turn I can help save someone’s life. Go take your free assessment today and see how quickly you reap the benefits of these pharmaceutical grade vitamins! Visit jarmstrong427.idlife.com for your free ID Nutrition assessment. What is flax seed and how do I eat it? Flax seed comes from flax which is one of the oldest fiber crops in the entire world. It has taken the health industry by storm and it lives up to its reputation. Flax seed is loaded with the “good stuff.” It is a great source of omega 3 fat (healthy fat), antioxidants and fiber. It can also protect from colon, breast, and prostate cancers as it has been said to prevent the growth of cancerous cells. Flax seeds can also lower cholesterol, prevent hot flashes, improve blood sugar and helps with constipation due to the high fiber content. How? Where do you add flax seed to your diet? Salads, yogurt, muffins, oatmeal, protein shakes, bread chicken, french toast, apple sauce, ice cream, cottage cheese or substitute an egg! There are tons of possibles and more details click here! 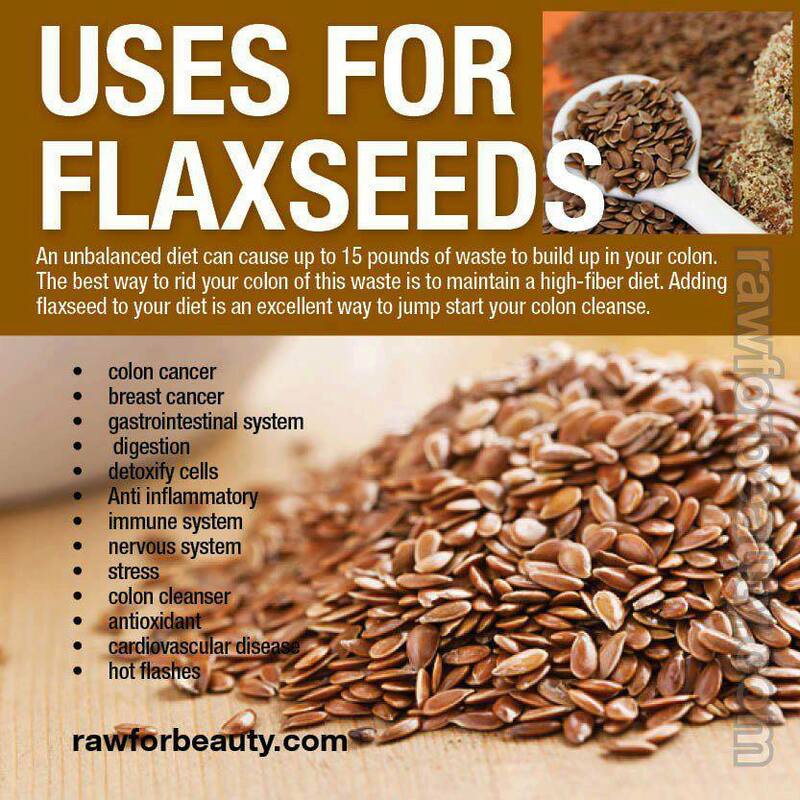 Load up on flax seed where you can you will see and feel it many benefits! 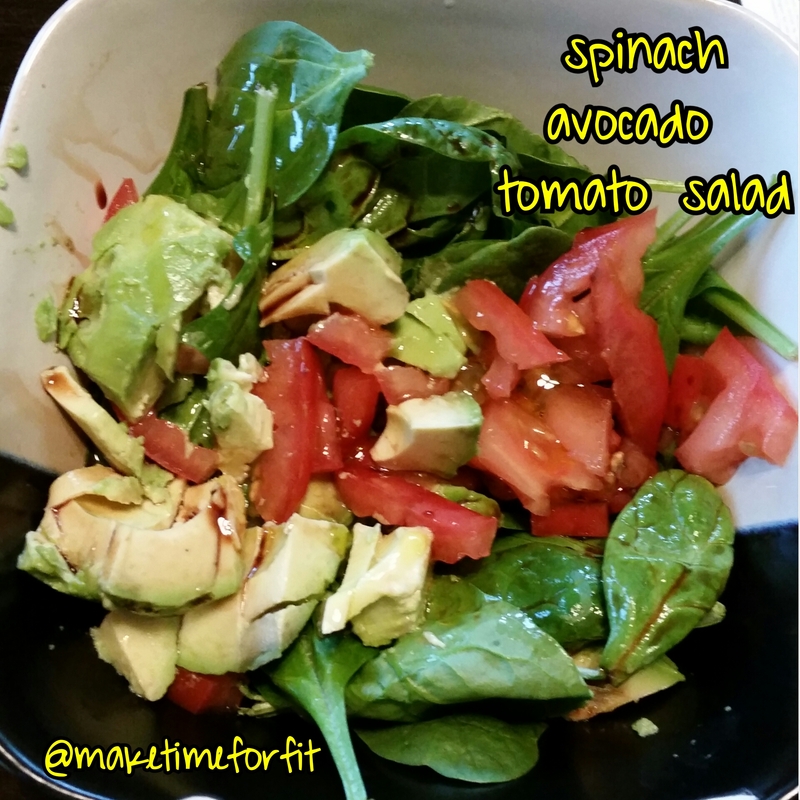 One of my “go-to” salad is this spinach avocado tomato salad. It’s easy and delicious. Viola simple, easy and nutritious! And the best part – there’s no wrong way to make a salad. Add in more of what you like and take out what you don’t. What are your favorite salads?! Hitting the gym? Email maketimeforfit@gmail.com for a FREE consultation for a personalized workout program! Here’s a little hump day break that I hope will encourage you to take a few minutes and reflect how great you are. We are so critical of everything and the most critical about ourselves! Constantly comparing, critiquing our minds and bodies to “fit in.” Before the days of social media you could just enjoy yourself and not be constant bombarded by pictures and posts about this and that. Sometimes I need to remind myself, that if you can’t love yourself, it’s impossible to love anyone else and fully live your life. 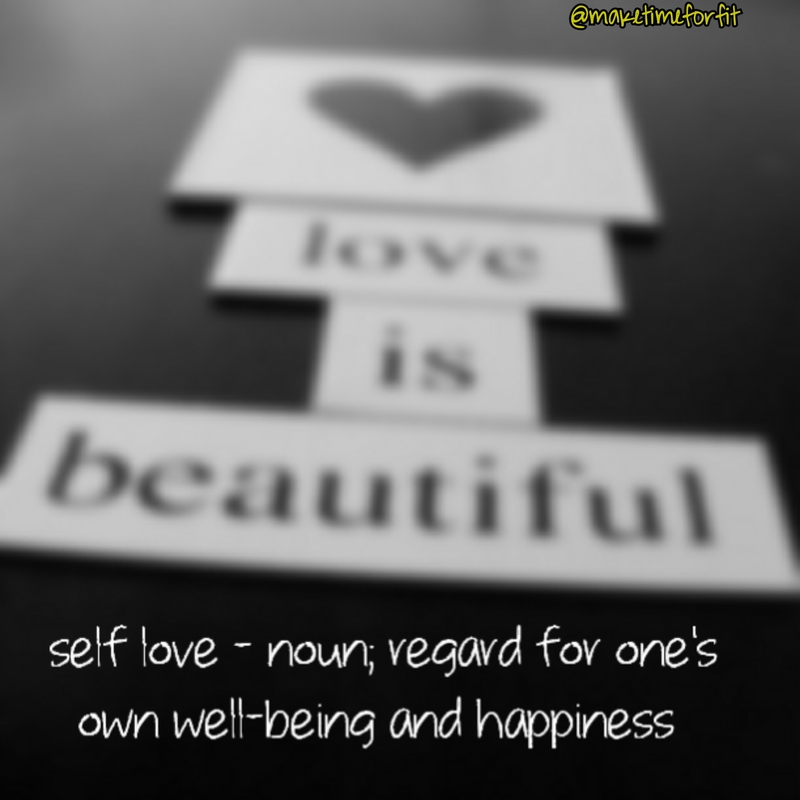 You aren’t conceited or cocky because you love yourself, you are treated yourself the way you deserve to be treated; with love and respect. Start each day by telling yourself something really positive. How well you handled a situation, how lovely you look today. Anything that will make you smile. Fill your body with food and drink that nourishes it and makes it thrive. Move that gorgeous body of yours every single day and learn to love the skin you’re in. You can’t hate your way into loving yourself. Don’t believe everything you think. There is an inner critic inside of us trying to keep us small and safe. The downside is this also stops us from living a full life. Surround yourself with people who love and encourage you. Let them remind you just how amazing you are. Stop the comparisons. There is no one on this planet like you, so you cannot fairly compare yourself to someone else. The only person you should compare yourself to is you. End all toxic relationships. Seriously. Anyone who makes you feel anything less than amazing doesn’t deserve to be a part of your life. Celebrate your wins no matter how big or small. Pat yourself on the back and be proud of what you have achieved. Step outside of your comfort zone and try something new. It’s incredible the feeling we get when we realize we have achieved something we didn’t know or think we could do before. Embrace and love the things that make you different. This is what makes you special. Realize that beauty cannot be defined. It is what you see it as. Don’t let any of those Photoshopped magazines make you feel like your body isn’t perfect. Even those models don’t look like that in real life. Take time out to calm your mind every day. Breathe in and out, clear your mind of your thoughts and just be. Follow your passion. You know that thing that gets you so excited but scares you at the same time. The thing you really want to do but have convinced yourself it won’t work. You should go do that! Be patient but persistent. Self-love is ever evolving. It’s something that needs to be practiced daily but can take a lifetime to master. So be kind and support yourself through the hard times. Be mindful of what you think, feel and want. Live your life in ways that truly reflect this. Treat others with love and respect. It makes us feel better about ourselves when we treat others the way we hope to be treated. That doesn’t mean everybody will always repay the favor, but that’s their problem not yours. Find something to be grateful for every day. It’s inevitable that you are going to have your down days. This is fine and very human of you. It’s especially important on these days to find at least one thing you are grateful for as it helps to shift your mind and energy around what’s going on. Reach out to family, friends, healers, whomever you need to help you through the tough times. You are not expected to go through them alone. Learn to say no. Saying no sometimes doesn’t make you a bad person, it makes you a smart person. Forgive yourself. You know that thing you did one time (or maybe a few times) that made you feel bad, embarrassed, ashamed? It’s time to let that go. You can’t change the things you have done in the past but you can control your future. Look at it as a learning experience and believe in your ability to change. Write it down. Head swimming with so many thoughts it’s giving you a headache? Write them all down on a piece of paper, no matter how crazy, mean, sad, or terrifying they are. Keep it in a journal, tear it up, burn it, whatever you need to do to let it go. Turn off and inwards. Grab a cup of your favorite tea, coffee, wine, whatever your choice of drink, and sit down for a few minutes on your own. No TV or distractions, just you. Think about the wonderful things that are happening in your life right now, what your big dreams are and how you can make them happen. Be realistic. There is no person on this earth that is happy every single moment of every single day. You know why? Because we are all human. We make mistakes, we feel emotions (good and bad) and this is OK. Allow yourself to be human. Get creative and express yourself in whatever way you like. Painting, writing, sculpting, building, music, whatever takes your fancy, and make sure you leave your inner critic at the door. There are no right ways to be creative. Let go of past trauma and wounds. This can be a really tough one and it may be one of those times you need to turn to others for support. The truth is though, when we let go of things that have happened to us it’s almost like a weight is lifted off our shoulders. We don’t have to carry that around with us anymore. We deserve better. Find your happy place. Where’s the one place you feel totally at ease, calm, happy, positive, high on life? Go to that place when you are going through hard times, or imagine yourself being there. Think about how it feels, what it smells like, what it looks like. The next time you are feeling happy and on top of the world make a list of your best qualities and accomplishments. It may sound a little corny, but it can be a wonderful reminder when you are having a day that’s less than amazing. Get in touch with your inner dialogue. If it’s anything less than loving, encouraging and supportive, it’s time to make a change. You deserve to be spoken to in the same way you would speak to your best friend, sister, brother, daughter, or son. Have fun! Get out there and do the things that light your fire. Enjoy them, enjoy being you and enjoy your incredible life. 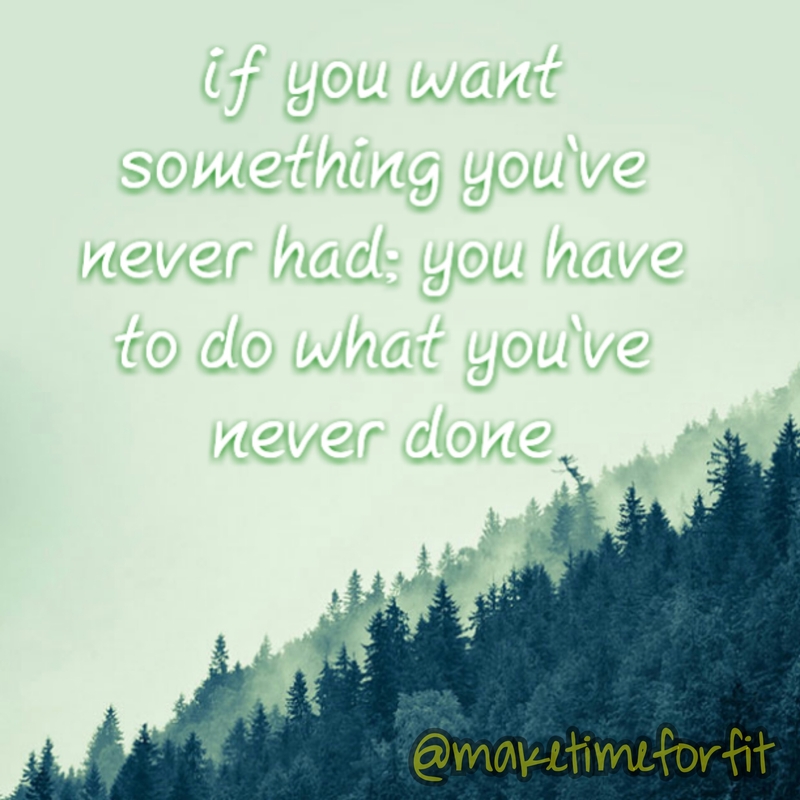 If you want to start, continue or revamp your fitness journey email maketimeforfit@gmail.com for your personalized workout program! I firmly believe that if you have a weak core, then you are weak – plain and simple! Nearly every move you ensure proper form your core must be engaged – which is why a strong core is essential! Today’s move of the day focuses on the sides of your core, the obliques. This move helps create the curved waist and supports the core as a whole. When doing bicycle crunches it’s important to remember to keep your lower back on the ground throughout the move. As your twist bring your elbow to the opposite knee, squeezing through your abdominals. Do this 50x when you wake up and 50x before you go to bed and you’ll start seeing results in 4 weeks! To get your personalize fitness program email maketimeforfit@gmai.com for your free consultation!